← The Journey to Casa Madera – A pineapple! We finally have a pineapple! We moved here armed with 2 Mexican cookbooks and a great determination to learn to cook the cuisine while we were here. And we did get an excellent start on it!! Those who have been following us from the beginning will remember Kevins’ hilarious account of using the washroom right after working with chiles. Yes, he learned the hard way why men here wash their hands both before and after using the washroom! The honest truth, though is, I lack motivation. I can get some of the best tacos in the bay right down the street and the only effort I have to make is to put one foot in front of the other for about 15 minutes. A 5 minute drive gets us to Valle Dorado where the options to taste authentic Mexican food are endless. I’m talkin’ GOOD Mexican food. Not the stuff one often finds in the tourist zone, made by people who know they will never see you again so why try anyway. Made by cooks who know that their business is only as good as their last service because word in a small town travels fast and even a poorly made tortilla could stop people coming to their spot. And, it is inexpensive. So why go thru all the effort in my own kitchen? After 7 years here, our knowledge of Mexican Cuisine is mostly limited to knowing which restaurant or taco stand has “the good stuff”. 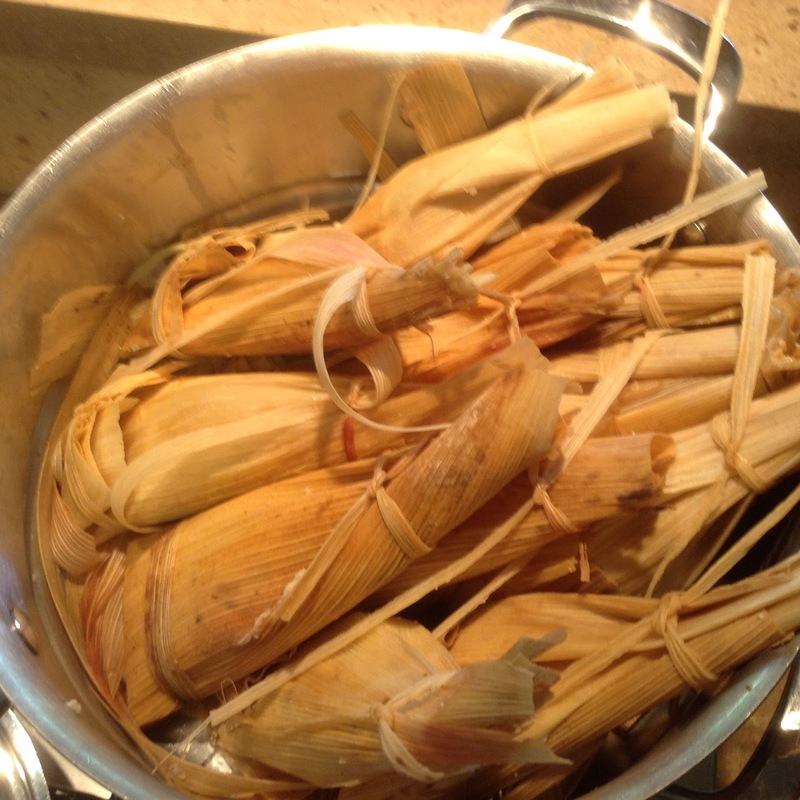 There is, however, one Mexican Food challenge I have been working to perfect – Tamales. Even though, every night, there is a truck at our Oxxo, selling Oxacan-style tamales, we have yet to try one. Our reluctance to do so stems from our first weeks here, when we would buy tamales from a vendor who passed by our apartment nearly every day. They were wonderful. Until the day Kevin bit into one with a whole, uncleaned shrimp hidden inside of it. So whole, the antennae and shell were still on it. Thus ended our love of the tamale lady, and tamales in general. We don’t buy tamales anymore, but the flavour still haunts me. Plus, I love the concept – Little bundles of corn husks, hiding more corn and filling inside. They are tasty snacks that are nice to have on hand, and, they re-heat beautifully in the microwave! Perfecting this particular Mexican food has become my challenge, and, for the most part, I have had pretty good reviews. As a matter of fact, my Ecuadorian girlfriend liked them so much, she set aside a whole afternoon so I could teach her how I make tamales. (Yes, this the truth!) We made a fairly large batch and she took half home. In an uncontrollable fit of generosity, she actually shared our hard work with a Mexican woman in her condo. A couple of hours later, the woman returned. Not to thank her for the gift, but simply to tell her that they were dry, period. Suggestions, tips, insider secrets….???? Sigh. 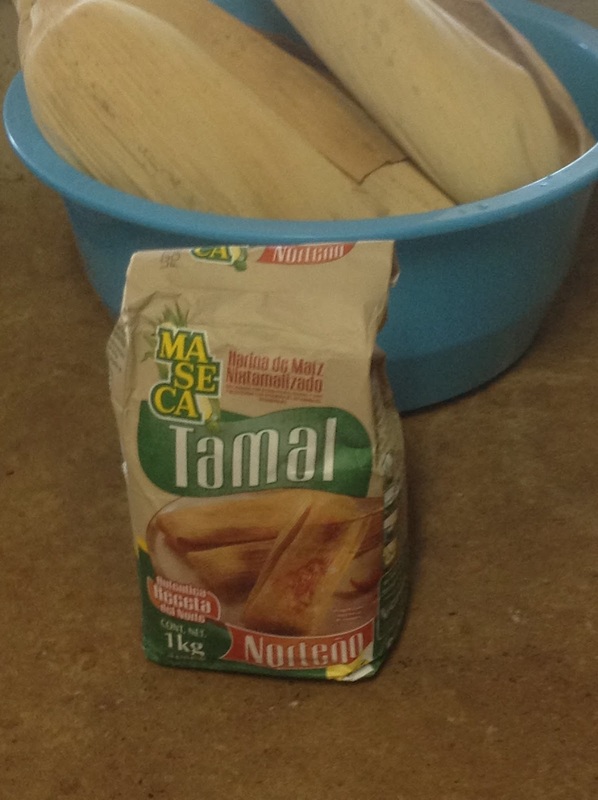 So, today, another try, at less dry tamales. Armed with a pot full of leftover braised pork shoulder, I tried again. For todays version of my tamales, I used Alton Brown’s recipe on FoodTV.com as a guide. 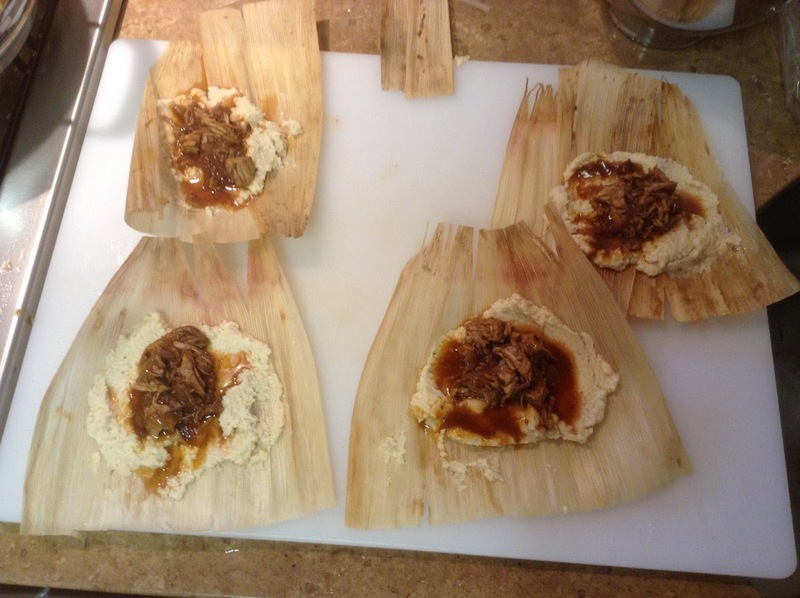 The braised pork and liquid were from earlier in the week, and the masa recipe I took from the bag of Tamale Masa. My results while not entirely authentic, are a very tasty attempt, which at the end of the day, is really all we wanted. My wife and I sold everything and moved to Mexico to open a Bed and Breakfast. This entry was posted in Starting new life. Bookmark the permalink.